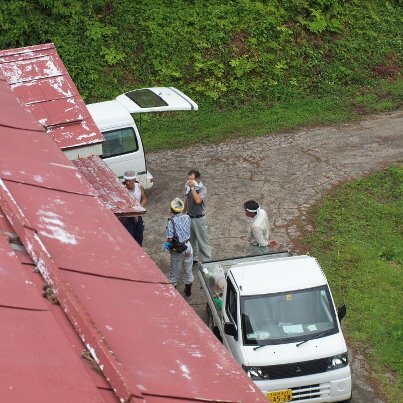 The yellow sign "Echigo Tsumari Triennale" stood by Karekimata area. 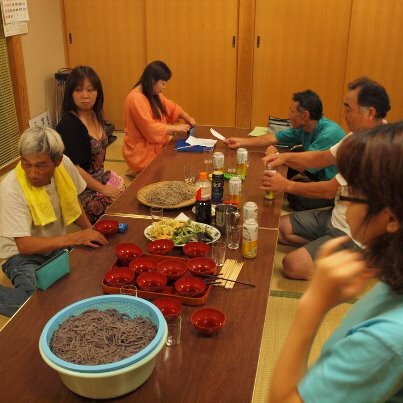 Mr. Ohji Yoshino doesn't participate in this (2012) project, but he made a flyer. This is the back, Please check our details. 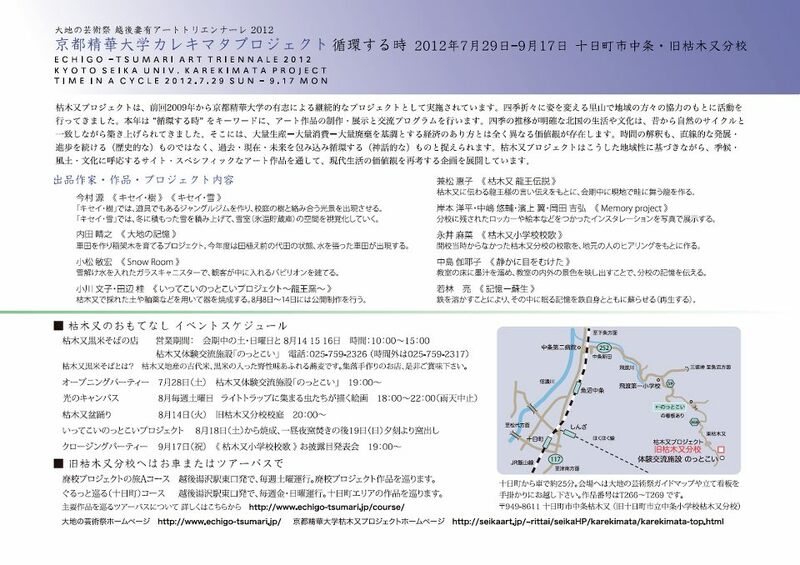 And we can sell Echigo Tsumari Art Triennale ticket, please tell me. 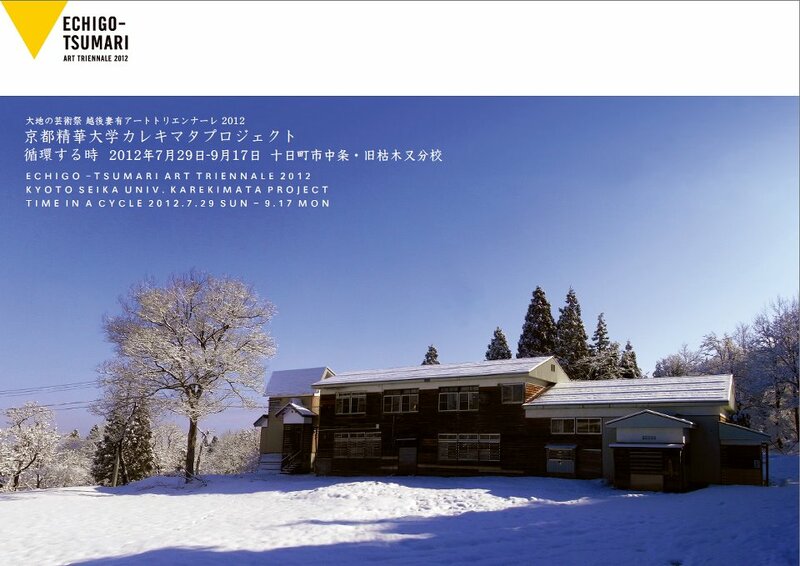 Echigo Tsumari Art Triennale will begin in two weeks later, Karekimata project made a flyer. Snow photo is the surface, is it cool in the summer?